Hailey & Tyson are fellow Aggies (Whoop!) 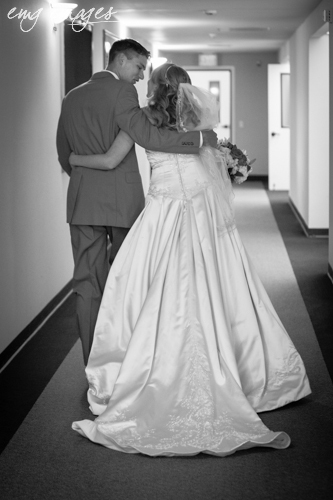 and I had the privilege of working with Christine Tremoulet as the second shooter at their wedding. 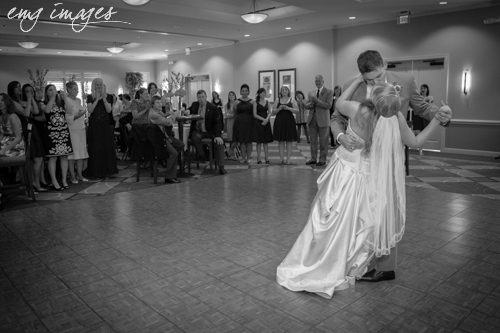 Even though I wasn’t shooting primary on this one, I was able to capture some wonderful moments of this joyous day. 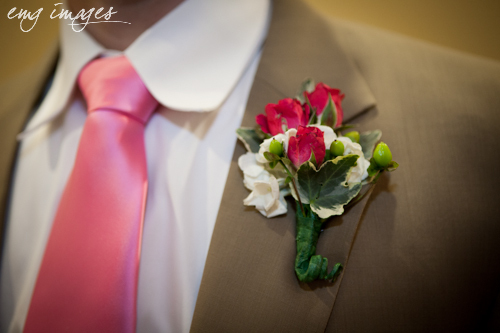 The flowers were a gorgeous shade of dark mauve-pink. 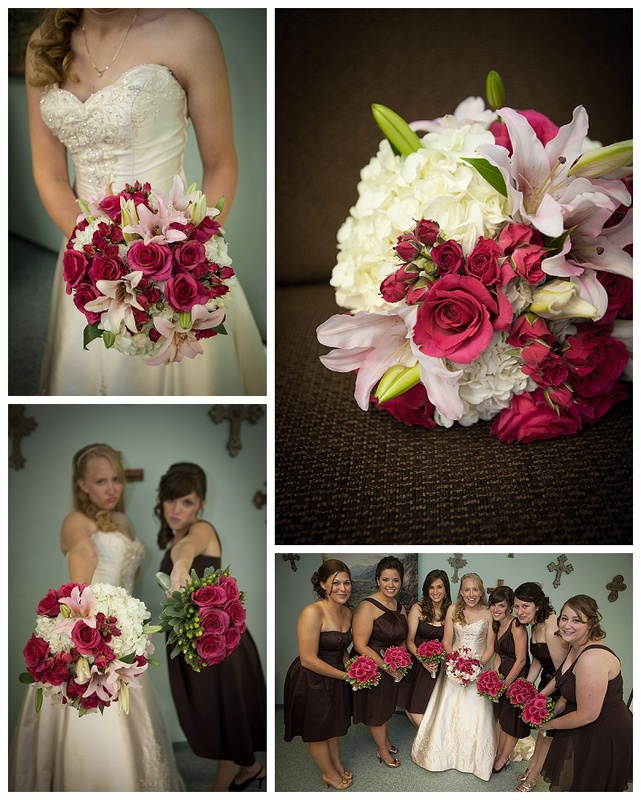 So stunning – and they complimented the cocoa bridesmaids’ dresses perfectly. Don’t you love the duck faces in that bottom left picture? Haha! 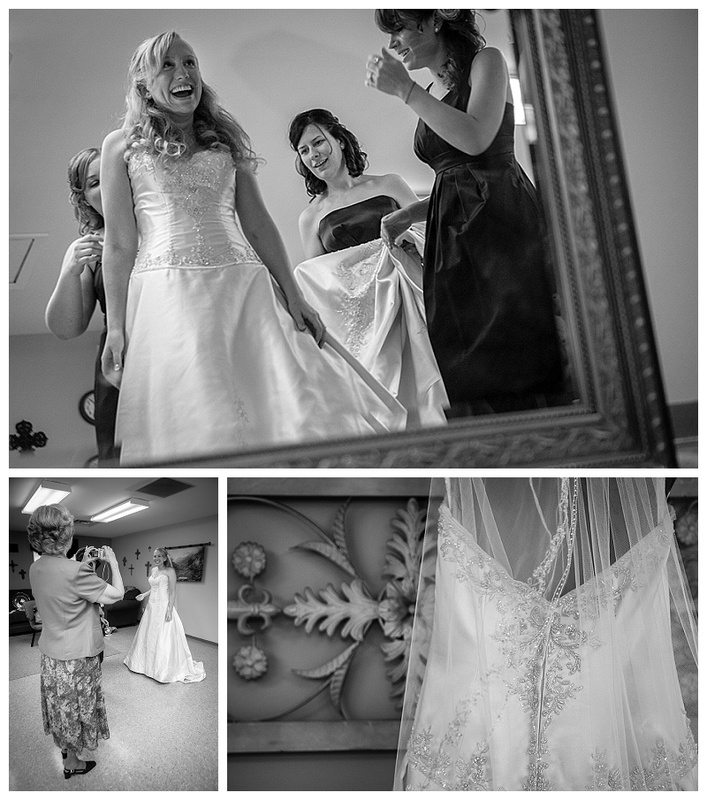 And here is Hailey seeing herself in her wedding dress. Her expression says it all. 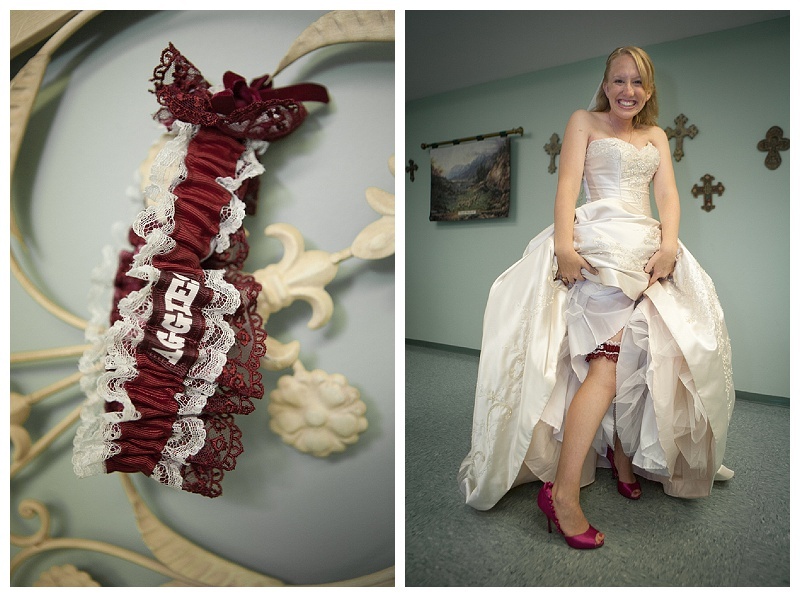 Of course, the garter had to be maroon! And check the hot-pink satin shoes! 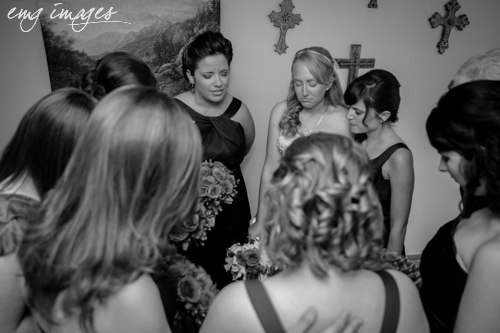 Before the ceremony, Hailey took a moment to pray with her bridesmaids. 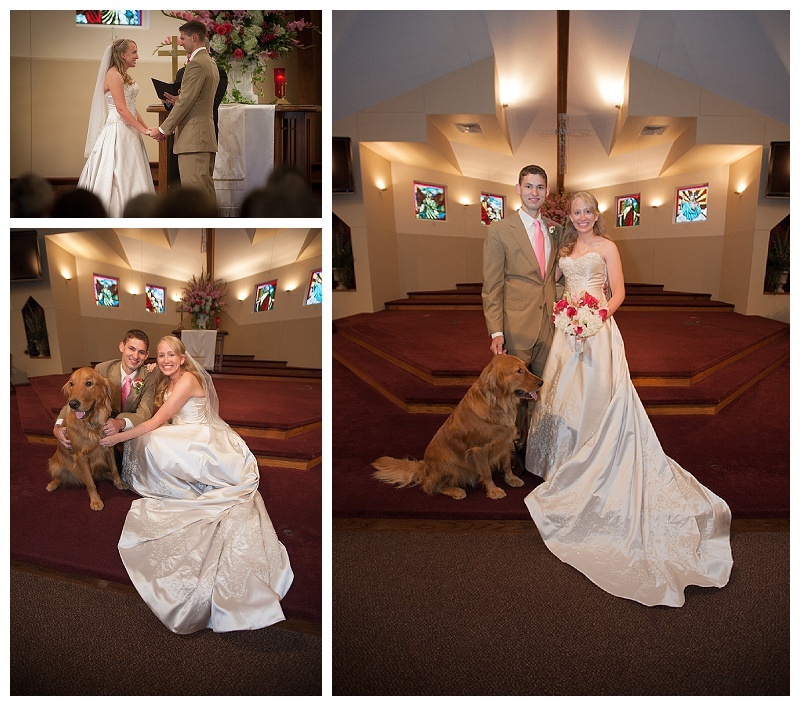 Finally, they were married – and they had to include their wonderful Golden Retriever Brody – an integral part of their family – in some post-ceremony photos. He was also in their engagement photos! 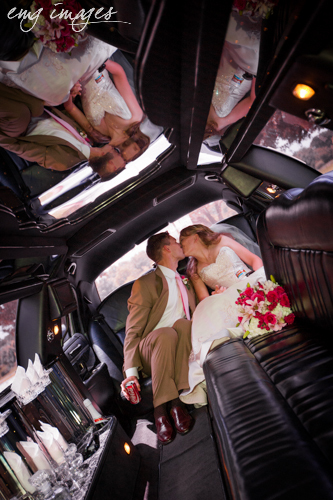 I love this shot in the limo before heading to the reception! 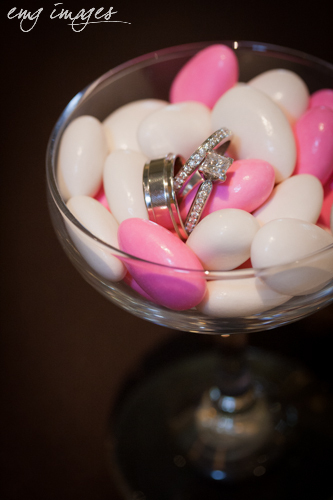 One of my favorite shots is when I take the rings and photograph them – here in some candied almonds & a champagne glass. 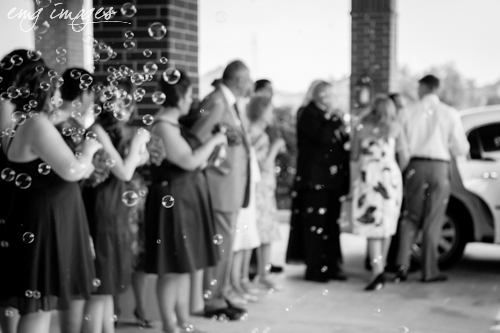 And finally, a fun bubble exit!